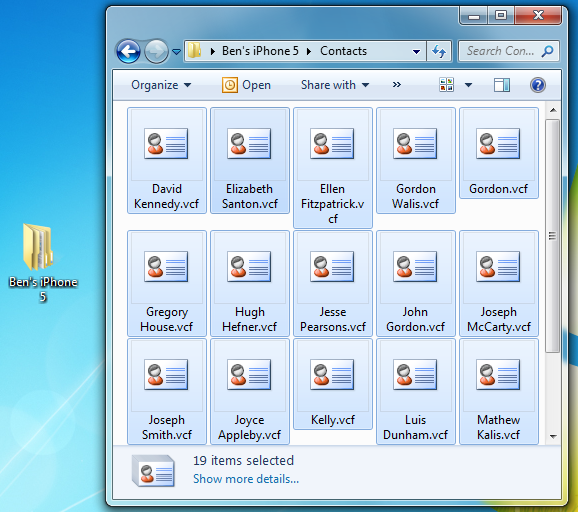 Backing up iPhone contacts to PC shouldn’t be a daunting task. The current choice between convoluted iTunes sync and online servers luring you in to store personal contact data could be a real deal breaker. You can easily backup iPhone contacts offline, without the use of cloud-based services and without having to sync the iPhone with iTunes. How? Via using a simple yet powerful PC program called CopyTrans Contacts. 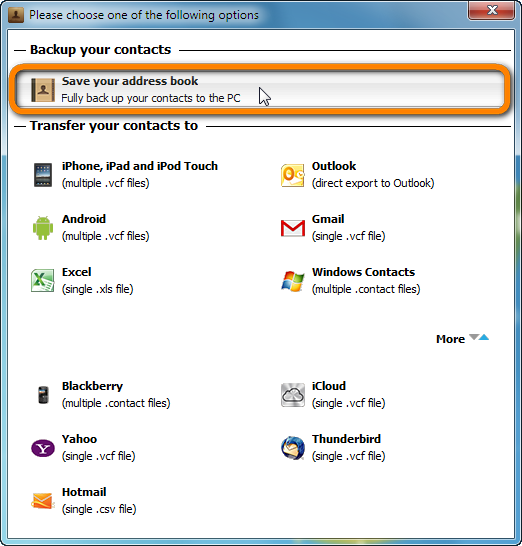 The program is designed to flexibly export iPhone contacts in varied formats compatible with all major contact management services such as Windows Contacts, Gmail, Yahoo, Hotmail, Thunderbird and even iCloud. 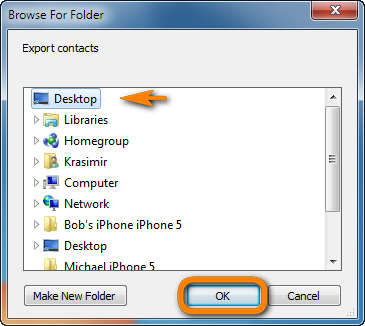 Transfer iPhone contacts directly to Outlook or if you are done with iOS, use CopyTrans Contacts to export the contacts and import them to other smartphones such as Android or BlackBerry. Run CopyTrans Contacts and connect the iPhone to your PC. Standby until the program lists all the iPhone contacts in its main window. The iPhone contacts are backed up to the desired location, in this case, into separate vCard files. In a few clicks, the iPhone contacts are backed-up. The format of the exported contact files varies according to the service that you selected. 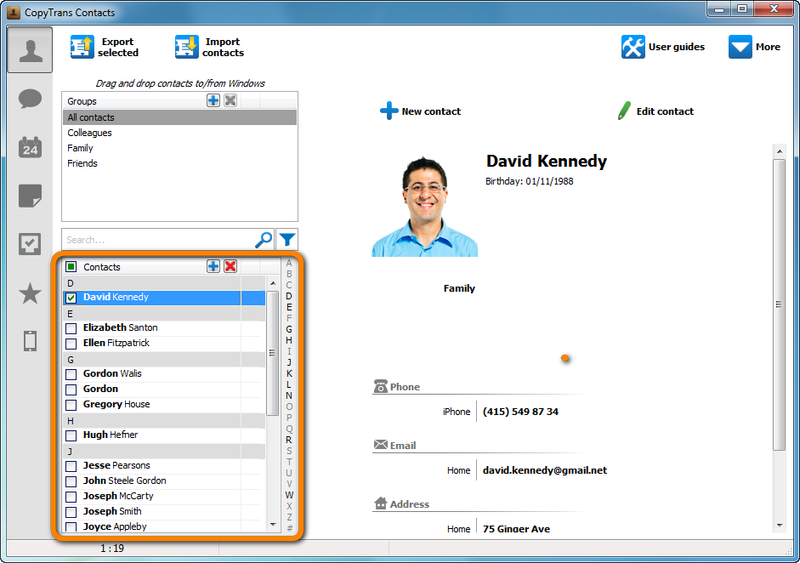 CopyTrans Contacts allows you to save iPhone contacts to the PC in individual VCF (vCard) files but also to CSV, Excel, or Windows Contacts format. Saving iPhone contacts to the PC allows you to keep your address book offline, safe and dry, away from prying third-party eyes. 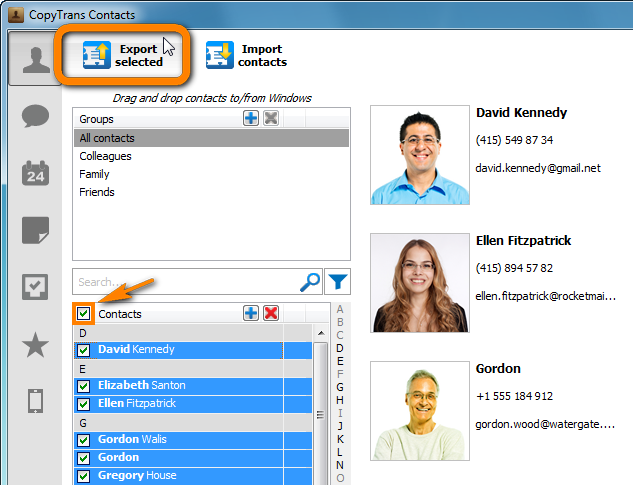 Import contacts to iPhone from Gmail, Outlook etc.